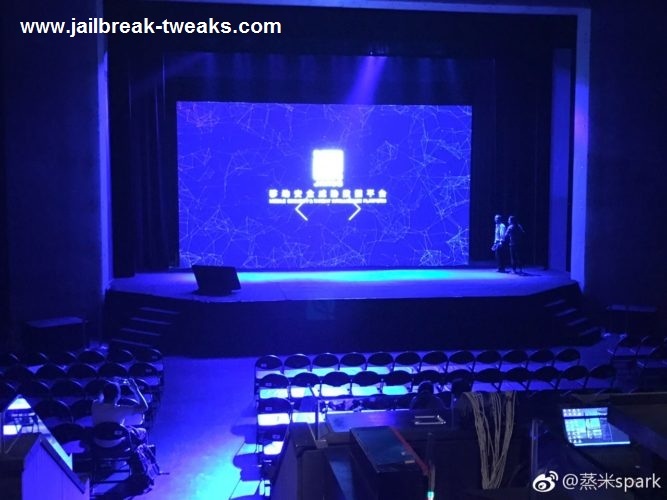 With the pictures and video rolled in the web recently, we are encouraged by a new prospect of future jailbreak. Considering all facts so far, we are clear that Jailbreak iOS 10.3.1 is somewhere proven by Pangu which is soon be expected. Although anything from Pangu has not yet verified for 100%, the evidence is clear on Pangu 10.3.1 at this moment. So this is the complete review of the expecting jailbreak and Cydia from Pangu once again. The pictures and the video have surfed in the Chinese blogging site “Weibo” instead of Pangu official channel itself. So at the moment, we are only with the pictures and video but no word in confirmed. 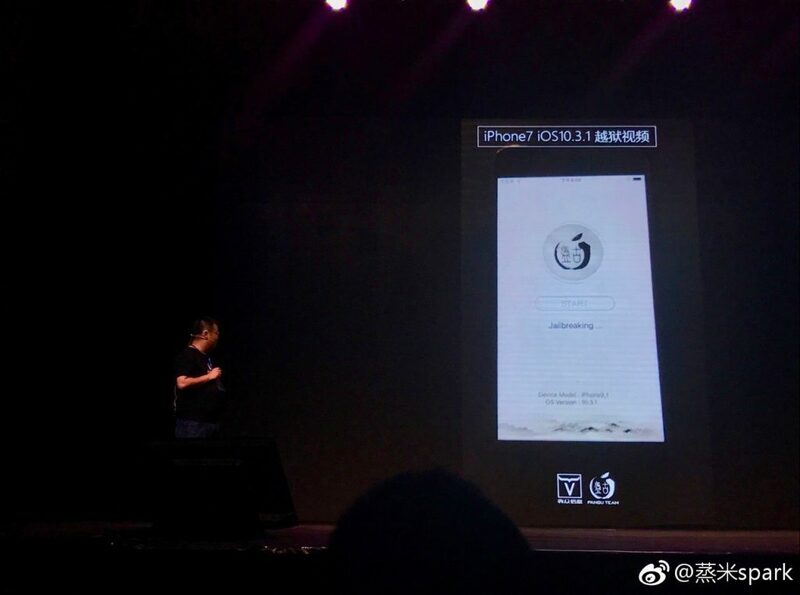 But as the screen clearly shows iOS 10.3.1 jailbreak on iPhone 7 is possible, we can keep some hope of a new tool launch soon. So let us hope, the silence of Pangu this far is not for waste but for a great new reason to give birth more new jailbreak apps and tweaks. 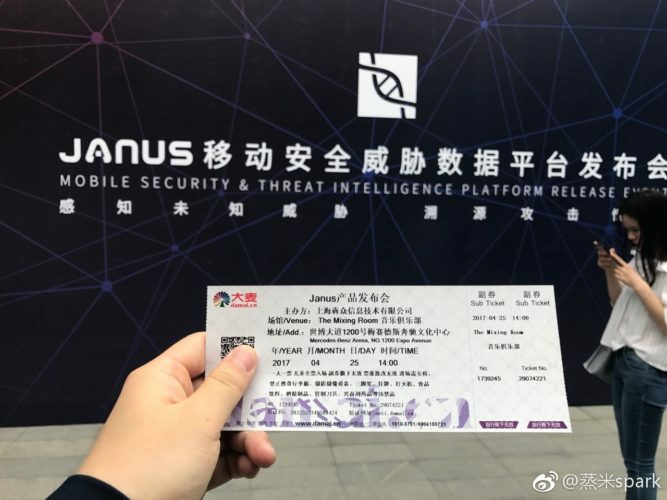 The event has been held days back in the place “Janus” which in detailed known as the place in the Mercedes-Benz Arena, on Expo Avenue, Shanghai. And for the interesting fact, we find no details about the event in any public source as it has clearly been ticketed for a certain crowd only. So this is not a public event for why we still have less information about what been revealed so far. Up to now, we found Yalu 10 jailbreak as the only successful tool approach to iOS 10. At a time, no word beyond Yalu was talked, what Pangu brought here is important even not in direct impact. So it seems Pangu silence has not gone waste and soon be public for a new big Cydia chapter. The interesting part here is Jailbreak iOS 10.3.1 for the latest firmware now signs with support for iPhone 7 on the screen. So different from Yalu, you will here get iPhone 7 jailbreak too together with 64-bit device support. Note: Although iOS 10.3.1 Download allowed for both 32-bit and 64-bit devices, here the jailbreak will come only for the 64-bit range. And as proofs, both iOS 10.3 and 10.3.1 will get support if Pangu will make the tool public. Depending on the firmware version you stand, taking 10.3.1 on the device will impact differently. So refer the points below for a wise decision. As Yalu has been steering strong for a considerable time, you must already have jailbroken the device. If so, stay away from the update at this point as the facts so far revealed are still not worth enough to give away your Cydia Download opportunities in hand. So until the jailbreak is 100% confirmed and proven safe/stable stay with the jailbroken version. If I am on iOS 10-10.2 with no Jailbreak? If you are on iOS 10 to 10.2, Yalu is allowed for jailbreak 64-bit devices. So rather than waiting for 50% 50% chances with Pangu, use that time to a fine Cydia chapter. If Pangu updates a tool, it is no harm of upgrading. If I am sitting on iOS 10.2.1? As you already know, it is always wise to stay on the lowest possible firmware which in the other way increases the chance for the future jailbreak. So stay with 10.2.1 until Jailbreak iOS 10.3.1 is verified. Although the next Apple update will soon be released, you will get a fair opportunity for 10.3.1 signing for a time about a week. So do not be hurry update until the update arrives. As to rumors, the coming jailbreak will work for both 10.3 and 10.3.1. So if you get no work errors in 10.3, it will not be a big issue in avoiding the update 10.3.1. In case if it only for 10.3.1, take the update in the time Apple allowed signing. As you know iOS hacker “tihmstar” made Prometheus, the tool to upgrade, downgrade firmware versions unsigned in bond to certain requirements. And with his advanced tool “tsschecker”, saving .shsh2 here is easier which is now found in an online consult. It only allowed saving the blobs while the firmware signing. So save the chance for iOS 10.3.1 jailbreak with TSSSaver which is now upgraded for the automatic feature. By now iOS 10.3.1 is the only version signs. And as iOS 10.3.2 now in the peak of betas, we would be able to see the final update soon above 10.3.1. But do not get troubled as you will get about a week for 10.3.1 signing too to take benefit if Pangu is in the real plan of a jailbreak release. But as things are not yet verified, let us wait some more days. If the jailbreak iOS 10.3.1 is going to happen, this week would be decisive in respect to trusted sources. So stay with all our updates.